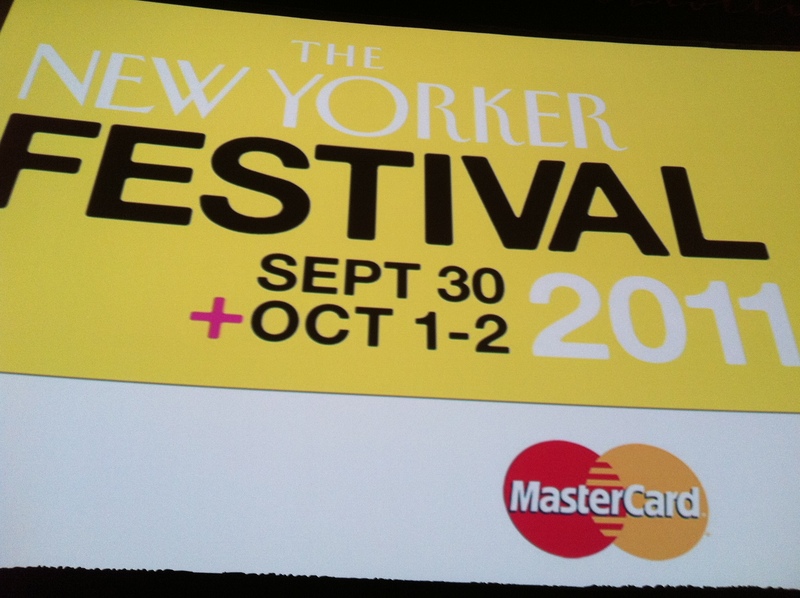 I recently had the opportunity to attend Atul Gawande‘s session titled “Do Surgeons Need Coaches?” at this year’s New Yorker Festival in New York City. Being an avid reader of The New Yorker magazine and an admirer of Dr. Gawande’s work (both medical and literary), I was excited and tried to keep my ridiculous excitement in check as he sauntered onto the stage from a side door and waited for the applause to die before he spoke. Dressed simply in a white shirt, jeans and a brown suede jacket, he began with an introduction, a request to not photograph him (my heart sunk a little) and then jumped into his speech about personal coaches. He got interested in the topic of coaching, he said, based on his interest in two other themes. The second theme that interested him is how he improves as a surgeon. Up until recently, his surgical career and his ability to be better at his job were rising steadily. However, of late, it had taken to look more like a “plateau.” He was still a good surgeon, he said, but there was no progress. And that’s when he looked into not only his own profession, but other professions as well, to see how people improve. Based on his research, he arrived at two basic ways of how people get better at what they do/want to do: the teaching model and the coaching model. In the teaching model, people, including surgeons like Gawande, train for several years in a classroom-type setting/atmosphere and then are, essentially, on their own to implement what they learned in school and hopefully, along the way, improve their methods and technique. In the coaching model, which is used by professionals such as athletes, no matter how good the team or how good the individual player, a coach is always present and is always finding ways to improve the game. Wondering why more professions didn’t take advantage of the coaching model, Gawande decided to take on a personal coach for himself. Dr. Robert Osteen, a retired surgical oncologist at Brigham and Women’s Hospital, Boston, agreed to come in and observe one of Gawande’s surgeries. “I actually thought it went extremely well,” said Gawande about the first operation he had Dr. Osteen observe, “but he had a dense notepad of comments to make.” Dr. Osteen pointed out that Gawande had neglected to notice small things, and that these small things were what made the difference when cutting complication rates. “When I operate, I operate with magnifying loops so that I can see the nerves and other things that I’m operating around, but that means that I’m not aware of everything that is happening around the room.” Some of the things Dr. Osteen observed were that one of the nurses had trouble with some of the equipment, the anesthesiologist had a blood pressure problem during part of the operation, and the lights had swung out of the wound area for nearly 30 minutes. “I was oblivious to it because I was in my tunnel,” said Gawande, motioning with his hands to mimic the effect. So what if Gawande got a personal coach who helped him improve? Gawande’s argument is that the medical world, as it is currently set up, employs a teaching model when it should perhaps consider a coaching model. Instead of only worrying about the number of procedures conducted by a doctor, Gawande believes that quality of care is going to begin playing a larger role. When Gawande spoke to Dr. Osteen about coming into his operating theatre more, he said, “I’ll pay you.” To which Dr. Osteen astutetly replied, “Are you kidding? I’ll pay you.” Osteen saw the value in the approach that Gawande took.Coaches help us to step back from our complicated world, to step back from the “tunnel,” look at the bigger picture, and reassess our strengths and weaknesses. Coaches give us a better understanding of how to function in our own world. Now if only I could find a way to convince Atul Gawande to be my writing coach, I could save my writing career from possibly plateauing. I got the screen before Gawande came on stage, but I wasn’t allowed to photograph him, so here’s a CC-licensed picture from another event.